This year our Congregation is celebrating a special anniversary: one hundred years of Passionist presence on the island of Sicily (Italy). “Oh, I am sure that these good things will not only be enjoyed, but the good fortune of Borgetto will also be the envy of everyone when from this bee hive, from which those humble souls who live out of love for Jesus crucified, go forth to small or large cities of this enchanting Island. They will draw souls to God through the preaching of the holy Gospel and especially when they effectively remind them of the infinite charity of our most loving crucified Redeemer. Futhermore, when you pass by this holy church, as you go to till your land with the sweat of your brow, remember that here there are those who are praying for you, that the Lord will grant you copious fruits from your labors. You will then be moved to show us charity if, as poor as we are, we open our hands to you to ask for what is necessary for us to live.” The people listened attentively. 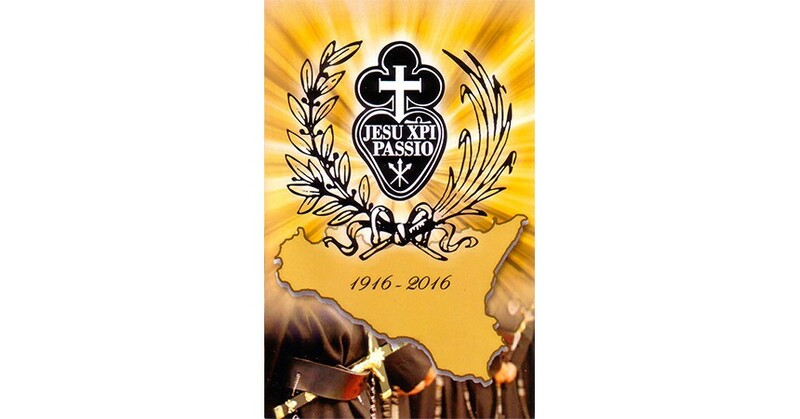 The celebration of the centenary of the Passionists in Sicily began on January 6, 2016, here in Borgetto. At 5:00 PM the religious of the community and other confreres from other Passionist communities, gathered at the mother church of Borgetto, the Parish of St. Mary Magdalene, to walk in solemn procession in memory of the arrival of the Passionists in Borgetto. Present were the Provincial Superior, Fr. Luigi Vaninetti and the regional superior, Fr. Mario Madonna. After walking the road that separates the mother church from the Retreat of the most Holy Crucifix, accompanied by the band of Borgetto, the religious were greeted by the applause of the many faithful who filled the church. Soon after, at 6:00 PM the opening of the Jubilee year was celebrated with a solemn Mass at which his Excellency Bishop Michele Pennisi, Archbishop of Monreale, presided. During the celebration, an Apostolic Decree of the Vatican Penitentiary was read, granting the Papal blessing at the end of the solemn Pontifical Mass opening the Jubilee year and also granting the faithful, during the Jubilee year (January 6, 2017 to January 6, 2017) the opportunity to obtain a plenary indulgence in each of our Passionist Retreats of Sicily. In his homily, the Archbishop thanked the Passionists for the work of evangelization that they have accomplished during the past one hundred years in Sicily and in particular in the Archdiocese of Monreale, and he urged them to zealously continue our specific mission in the Church. At the end of the celebration, the Provincial Superior spoke about the newly unified entity of the MAPRAES Passionist Province, which includes Sicily, and about the opportunities that are present here for continuing to live our specific Passionist charism in a unified spirit of collaboration and charity that is ever more evident among the numerous religious who comprise the Province. After the Papal blessing all the religious, together with the Archbishop, gathered at the altar of St. Paul of the Cross, and before the statue of the Founder, they intoned the “Salve Sancte Pater”. 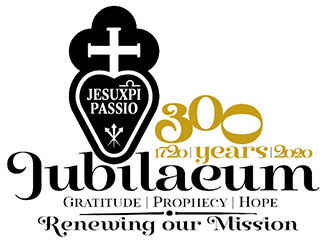 May our Lord be with the Passionists of Sicily during this centennial-jubilee year, and may they be a fruitful presence in the service of the people of God and in the proclamation of the Merciful Love of Jesus Crucified. Priestly Ordination Of Fr. Segundo Felaun Fatama Rucoba, C.P.